Trust our expert financial advisors to always find the best financial solution for you, your lifestyle and your wallet! Our goal at Performance Mazda Orléans is to make financing as easy and fast as possible. Whatever questions you have, our advisors will happily answer them. They will also listen to all of your needs according to your lifestyle and budget in order to find the best financial and leasing solutions for you. They will explain everything you need to know in order to ensure you can make an informed decision. Performance Mazda Orléans offers a full range of warranties and protection plans for all of your vehicle needs. When you shop with us, you will always have peace of mind, on and off the road. No matter your needs, our expert advisors will find the perfect warranty and protection plan to keep you and your wallet safe. Performance Mazda Orléans is always working towards making the financing process as painless as possible. We offer an incredibly fast application form that allows you to easily begin the financing process online. You can trust that we will always offer you the lowest rate possible to make sure you have the best financial solution for your lifestyle. At Performance Mazda Orléans in Ottawa, we understand that bad things can happen to good people and that sometimes a credit score doesn’t tell the whole story. That’s why we’re happy to offer our customers a 2nd – or even a 3rd – chance at credit or financing in Ottawa, and the whole National Capital region. 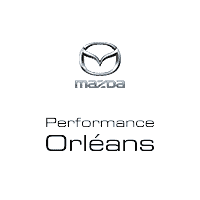 At Performance Mazda Orléans, we give you the opportunity to start fresh. If you’ve never had a loan, were refused by a financial institution, missed past car payments, have been bankrupt in the past, or are not yet released from your bankruptcy, we’ll work with you to find a solution to vehicle ownership that fits your lifestyle and your budget. You can even start the pre-approval process online and one of our financial experts will contact you as soon as possible with details. At Performance Mazda, we’ll work as hard as we can to find a flexible and accommodating payment schedule that will get you back onto the road!